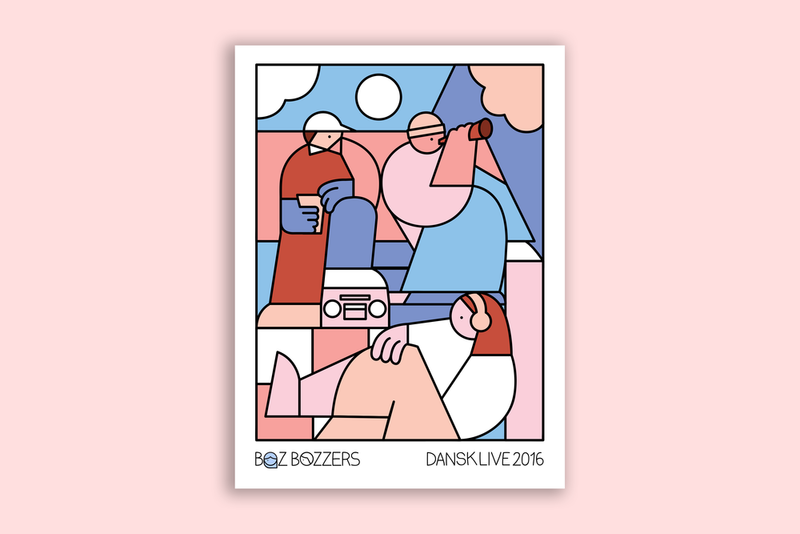 Inspired by youthful energy, the music scene in Copenhagen and Sjælland in general. Dansk Live x Polly Bosworth visual collaboration, culminating in printed merch. This illustration was based on the very first sketch I had made for the Dansk Live project. I think it is quite nice to point this out, seeing as it's the very first projection I had of what the company represents. 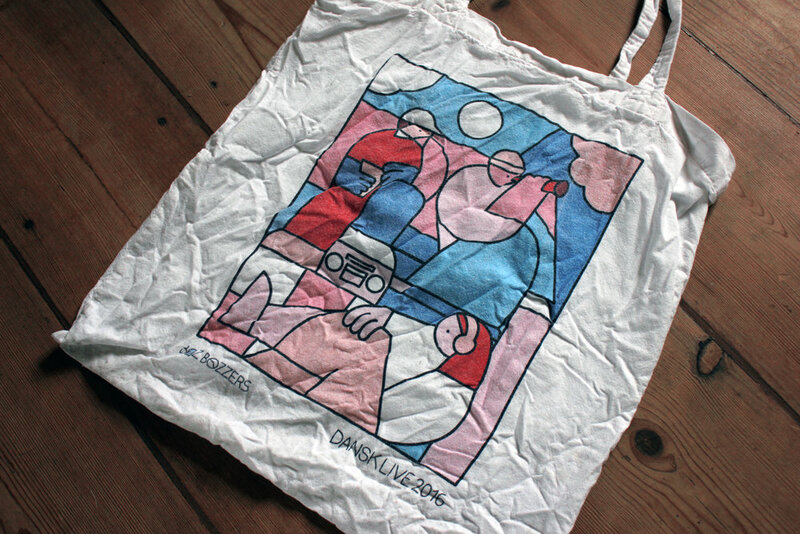 It's still one of my favourite totes I have made, to date.